The Bachelor of Civil Engineering Honours degree programme is jointly offered by SIT and the University of Glasgow (UofG). This programme will play an important role in addressing the lack of local graduate manpower with the necessary civil engineering professional qualifications for the building and construction industry in the face of sustained building and infrastructure development. Through a heavy emphasis on project-based learning and industrial immersion, this programme aims to produce industry-ready graduates who are equipped with a high level of technical expertise to address multidisciplinary challenges, provide technically sound, economically feasible and sustainable solutions to complex problems. 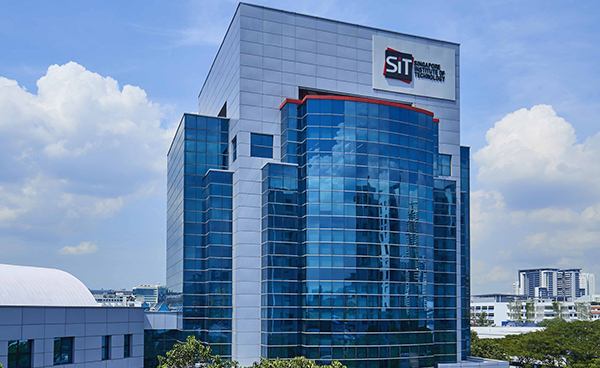 Upon successful completion of their BEng (Hons), students may continue with the Master of Engineering Technology in Civil Engineering graduate degree that will qualify them to apply to sit for the professional examination, conducted by the Professional Engineers Board of Singapore. They may take the exam immediately, or finish the BEng (Hons) first and gain some relevant working experience before coming back to pursue the MEngTech degree later. In this way, they can study at a pace that best suits their individual needs and abilities. Strong emphasis is placed on the industrial relevance in the curriculum development of BEng (Hons) and MEngTech programmes in consultation with government agencies and companies from the construction sector. Students will acquire deep specialist training at the MEngTech level which consists of five compulsory core modules and five selected modules taught at an advanced graduate level depending on the area of specialisation in Structural Engineering, Geotechnical Engineering or Rail Engineering. Holders of BCA Academy Diploma in Construction Engineering are eligible to apply. Students will undergo an eight-month continuous structured learning and work programme in the construction industry that exposes them to both design office and field/site supervision experience. The learning experience is more structured than an internship, with objectives and corresponding assessments in career and professional skills, integration of knowledge and practice, and innovation skills. In addition, the Capstone Project is embedded within the IWSP, and students will start to formalise and propose their projects during the first semester of IWSP with input from their industrial supervisors. Field/site supervision experience is mandatory for professional registration and this experience can contribute to the recognition of work experience required for registration as a resident engineer with IES/ACES. Students will participate in an intensive three-week Overseas Immersion Programme (OIP) at the home campus of the University of Glasgow where they get to experience life as a student in Glasgow, United Kingdom. The programme itinerary includes library and career talks, academic lectures, research and literature review workshops to prepare students for their final-year dissertation projects, as well as visits to companies, museums and key cultural sites. The group project-based subjects covering both the conceptual and detailed aspects of design will be carried out during the OIP, involving different areas of the civil engineering discipline such as ground investigation, planning, transportation design, social, foundation design, structural design, and buildability of the construction. The course is an introduction to the Calculus, usually referred to as Single-Variable Calculus. The course commences with a review of the concept of functions with emphasis on the transcendental functions (i.e. trigonometric, exponential and logarithmic functions). Thereafter, the basic concepts of limits, differentiation and integration are introduced followed by applications of the differential and integral calculus. The course ends with an introduction to modelling physical problems using first-order differential equations and an analysis of infinite series. Collectively, these foundational mathematics topics will prepare students adequately for the other courses encountered in the first two trimesters and paves the way for Engineering Mathematics II. Lectures, tutorials and consultation hours will be conducted throughout the whole trimester. A blended approach will be used, integrating between e-learning, polling quiz and lecture to reinforce key concepts. Continuous assessments in the form of online quizzes and class tests will be conducted during the trimester. At the end of the trimester, students will need to sit for a final examination. The course is an introduction to the fundamentals of Newtonian Physics. Topics covered include Kinematics, Newtonian mechanics, energy principles, impulse and collisions, rotation of rigid bodies and simple harmonic motion. This course is a pre-requisite for the more specialized courses: Fluid Mechanics and Soil Mechanics encountered in Year 1. Online video lectures are available on the course webpage. Students are required to watch the videos prior to attending the lectures. The course also employs Pearson MasteringPhysicsTM for administering online tutorials. The system tracks a student’s performance and activity in real time and personalizes content to reinforce concepts that target each student's particular strengths and weaknesses. This course provides the foundation for civil engineering skills including computing and surveying. The first part of the course provides an introduction to basic programming techniques with applications in the engineering context, implemented in the popular scripting language MATLAB. The second part of the course introduces students to basic measurement techniques and skills needed in engineering works control and map interpretation. This course provides the fundamental concepts of statics and mechanics of materials and their applications in engineering problems. The course emphasizes an understanding of the adequacy of mechanical and structural elements under different loads, essential for the design and safe evaluation of civil engineering structures. Topics include a basic understanding of force vectors and their operations, force equilibrium, stresses and strains of a body subjected to external loads. This course forms an essential technical basis for the analysis and design of civil structures. An overview of the contributions made by civil engineering towards civilisation will be taught to enable students to better understand the civil engineer’s role in society at large. The built environment encompassing infrastructures such as airports, buildings, bridges, flyovers, tunnels, underground spaces, roads, railroads, waterways, water supply systems, wastewater collection and treatment systems, and solid waste disposal will be highlighted. While civil engineering has contributed to the good of mankind, students will be exposed to the environmental impact of civil engineering activities and be equipped to use the environmental management system as a framework to develop programs that will help minimise harmful impacts to our environment. Examples of integrated/holistic solutions to climate change that influence urban planning for sustainable development in the Singapore context will be discussed. As part of the training for practice-oriented civil engineers, students will also be exposed to create prototypes via 3R hands-on workshops in The Catalyst - a makerspace to turn ideas-into-action. This course presents the characteristics of the primary material types used in civil and construction engineering: steel, aluminium, aggregate, concrete, masonry, asphalt, wood, and composites. Coverage includes the basic structure of the materials, material production process, mechanistic behaviour of the material, their environmental influences, and construction considerations. The objective of this course is to provide students with the fundamental engineering geological knowledge and basic soil mechanics. Upon completion of the course, students should gain an understanding of the basic characteristics of soils, the fundamental effective stress principle, and the mechanical behaviour of soil such as its strength, compressibility and consolidation properties. To prepare students to be industry-ready, special attention will be paid to Singapore geology as well as some local case studies. This course also enables students to appreciate the impact of soil mechanics on geotechnical and foundation engineering design and construction through case studies and laboratory tests. As this is an introductory module in soil mechanics, no pre-requisites are required. This is an introductory course in Fluid Mechanics that aims to introduce the basic principles of fluid statics and dynamics, including the concepts of dimensional analysis, similitude and applications of the aforementioned principles to internal pipe flow problems. Students will be given the opportunity to conduct experiments in the Hydraulic Laboratory related to the use of the Energy Equation in Fluid Dynamics. This course extends the basic concepts of differentiation and integration learned in Engineering Mathematics I to the calculus of functions of multiple variables, also known as Multivariable Calculus. Advanced applications of partial derivatives and multiple integrals are emphasized. The second part of the course covers higher-order differential equations, which is an extension of the topic on first-order differential equations covered in Engineering Mathematics I. Online video lectures are available on the course webpage. Students are required to watch the videos prior to attending each lecture. The course aims to teach students the principles of engineering drawing, create typical drawings using Computer Aided-Design (CAD) tools, read and interpret civil and structural engineering drawings. Computer lab sessions using AutoCAD are an integral part of this course, with total contact hours equally apportioned between the lectures and the lab sessions. Effective written and oral communication skills have long been viewed as core competencies for undergraduate students in major universities in the world, and they are required by employers in today’s globalized workplace. Specific communication skills required of engineering undergraduates include the ability to present academic and technical information both in writing and orally to technical and non-technical audiences. This module aims to help students develop such abilities through academic essay writing, technical report writing, reflective writing, oral presenting and other learning activities. CVE1262 also adopts a process-based, reading-into-writing approach so that students have the chance to learn/unlearn/relearn from the multiple drafting experience of each writing assignment. For the principle content focus of the course, a project-based approach is used that requires teams of students to explore authentic engineering problems and develop viable solutions within real-world contexts. Within the module, they are required to read discipline-specific articles, do writing assignments and a project with an engineering focus, and interview engineers or related experts, thus facilitating greater acquaintance with the field. The first part of this course is an introduction to Matrix Algebra and its applications in science and engineering. The second part of the course is an introduction to probability and statistics covering such topics as random variables, Bayes’ theorem, Normal Distribution, Joint Distributions, Central Limit Theorem, hypothesis testing and linear regression. Students will familiarize themselves with statistical software packages such as Excel or R in solving practical problems. Online video lectures are available on the course webpage. Students are required to watch the videos prior to attending the lectures. Knowledge of CVE1211 (Engineering Mathematics 2) is mandatory. This course presents the characteristics of the primary material types used in civil and construction engineering: steel, aluminium, aggregate, concrete, masonry, asphalt, wood, and composites. Coverage includes the basic structure of the materials, material production process, mechanistic behaviour of the material, their environmental influences, and construction considerations. Knowledge of CVE1121 (Statics and Structural Mechanics) is mandatory. This course builds upon the knowledge gained in CVE1231 on Engineering Geology and Soil Mechanics and introduces students to the more advanced topics on slope stability and earth retaining structures. Upon the completion of this course, the student will be able to conduct an assessment of force and/or moment equilibrium for slopes, perform calculations of active and passive earth pressures, and gain an appreciation of various important design considerations pertaining to the design of slopes and retaining structures, as well as an introduction to deep excavations. Knowledge of CVE1231 (Engineering Geology and Soil Mechanics) is mandatory. This course presents the concepts of hydraulics and surface water hydrology as they are used in everyday practice in real-world applications that are relevant to civil engineering, land developing, public works, and land surveying. Coverage includes topics such as the basic concepts of computation and design, principles of hydrostatics and hydrodynamics, open channel flow, unit hydrographs, and rainfall, runoff, and routing. Introduction to Building Information Modelling (BIM) and its critical role in design, analysis, construction planning, 4D coordination and fabrication processes. The information in BIM for different parties in the value chains of building delivery process including civil engineers. The understanding of BIM modelling specifics to civil engineering discipline. Structural analysis and design of different types of structural systems and work on BIM project for civil engineer. This course builds upon the knowledge gained in the previous course CVE2121 (Structural Analysis 1) and presents the theory and applications of modern matrix structural analysis. Topics include the concept of equilibrium, compatibility and force-displacement relationship, the direct stiffness method, matrix formulation of trusses, beams and frames and computer modelling of 2D/3D truss and frame structures. This course can be seen as a precursor to the Finite Element Method. Knowledge of CVE2121 (Structural Analysis 1) is mandatory. This course is an introduction to the EN eurocodes. In particular, the course focuses on Eurocode 0 (Basis of Structural Design) and Eurocode 1 (Actions on Structures) and covers such topics as basic design requirements, limit states design and design situations, design variables and verification, general actions, wind actions, thermal actions, actions during execution and accidental actions. Students will have a chance to apply state-of-the-art computer modelling to 2D truss and frame structures using software SAP 2000 or MIDAS. An overview of general environmental engineering principles and technologies will be taught to enable students to better understand the civil engineer’s role in society. Air pollution, land pollution, noise pollution and water pollution, together with their associated quality standards will be highlighted. Students will be taught to identify pollution sources and characterise pollutants for effective pollution management and control strategy. Students will be equipped with 3R framework, treatment technologies, design principles, and alternative treatment options. Civilisation needs involving water demand, water supply systems, wastewater collection and treatment systems, NEWater, solid waste management, industrial hazardous waste management, air quality management, and noise management system will be discussed in depth. This course is an introduction to transportation systems, transportation planning and management, and traffic flow studies. Geometric design of roads and intersections will also be discussed during lectures with hands-on activities during tutorials. Design of flexible and rigid pavements, including bituminous pavement materials. Knowledge of CVE2111 Engineering Mathematics III (Statistics part) will be useful but not mandatory. "The Integrated Work Study Programme (IWSP) is a key feature of all degree programmes offered by SIT. It is an eight to twelve-month stint that every SIT student has to participate in and be immersed in in a real work environment. In this authentic work situation, students are expected to integrate knowledge and practice, understand broader trends in the industry, and initiate and develop innovative projects with accompanying solutions. In order to prepare students to secure their first IWSP position, the Professional Communication and Development (PCD) module aims to provide students with the experience of going through the entire process of job search, from submitting their job application letter and resume to attending a mock job interview session. The knowledge and skills, acquired by students through this module and the IWSP, would form a valuable source for students to draw from as they look for their first full-time job upon graduation and as they plan their career. In addition to the career skills, the module also aims to help students communicate competently and ethically in various communication situations. This will be done through critical analyses of communicative texts and events, as well as applications of principles of effective communication. In the process, the course also helps develop students’ ability to communicate engineering practice to diverse audiences." This course is a sequel to the previous course CVE2222: Structural Design and serves as an introduction to Eurocode 2 (Design of Concrete Structures) and Eurocode 3 (Design of Steel Structures). Topics covered include basic layout of steel and concrete structures, basic material properties, design of flexural members, compression members and current building code and standards. Students will have chance to engage in a short design project. The objective of the course is to provide students with a basic understanding of the geotechnical principles in the design and analysis of foundations. The topics covered include compaction, site investigation, deep foundations and shallow foundations. Students will be engaged in active learning through the recommended reading materials, tutorial discussions and open-ended foundation design group project. Knowledge of CVE1231 (Engineering Geology & Soil Mechanics) is mandatory. This course aims to provide students with a general understanding of various construction methodologies, machineries, and technologies used for the implementation of construction projects. Students will be exposed to various types of civil engineering works, including case studies of building and civil engineering projects in Singapore and overseas. Related legislations and industrial practices such as safety and buildability issues are also discussed. This is an intensive 3-week group design project where students will take as an Overseas Immersion Programme (OIP) at UoG. The project based subjects in which students are required to undertake as group projects will cover both the conceptual and detailed aspects of design. It involves different areas of the civil engineering discipline such as ground investigation, planning, transportation design, social, foundation design, structural design, and buildability of the construction. This module consists of regular technical seminar sessions by industry experts and leaders focusing on various aspects of civil engineering practice. At least two site visits and two seminars will be organized. This is an uninterrupted 8-month duration (2 trimesters) structured learning and work programme which will provide students with unique learning opportunities to achieve the following objectives, i.e. (1) applied learning – integration of theory and practice, acquisition of specialist knowledge and development of professional skills, (2) exposure to real-world conditions - appreciation of real-world constraints in respective industry contexts to develop skills of adaptability, creativity and innovation, and (3) smooth transition to jobs - practical experience which shortens work induction period. Field/site supervision experience is mandatory and this experience will contribute to professional accreditation and recognition of work experience required for registration of resident engineer with IES/ACES. Students will have the opportunity to develop innovative solutions for the design and construction projects they are working on. In this way, the IWSP will be a key platform to inculcate the SIT-DNA in every student. Final year students will carry out the project work from any discipline in civil engineering. The project will mainly focus on computing analysis and design. In addition, the capstone project is embedded within the IWSP, and students will start to formalize and propose their capstone projects during the first semester of their IWSP with input from their industrial supervisors. The project duration is over the entire academic year. An individual formal report is required. Each student is required to make an oral presentation. This course introduces various ground improvement or stabilization methods that are commonly used when a given site is unsuitable for a proposed project. The emphasis is on understanding the concept of failure in soil mechanics and being able to recommend suitable ground improvement methods for problematic soils. Geotechnical instrumentation and monitoring will also be taught in this module; in particular, the application of such instrumentation to deep excavations and ground improvement projects shall be discussed. Knowledge of CVE1231 (Engineering Geology & Soil Mechanics) is mandatory. This course is an introduction to rail engineering with the focus on civil aspects of rail infrastructures including their impacts on society and the environment. Concepts and philosophy of alignment design, track geometry, railway superstructure and substructure components, rail switches, railway planning and capacity, and operation and maintenance of railway will be discussed during lectures with hands-on activities during tutorials. There will also be a site visit during the first half of the trimester for exposure to a real working rail infrastructure construction site. The course is aimed to equip students with good understanding of basic Construction Law and a good exposure to its application in contract advisory and dispute management area in the construction industry under its legal framework. Students will be exposed to all major issues that are commonly encountered by those in the construction industry. These include: delays and liquidated damages, claims for payments under the Security of Payment Act, calls on performance bonds, damages for defects variation claims and termination of contracts. This course covers the principles and techniques of managing engineering and construction projects from the initial conceptual phase, through design and construction, to completion. Course content comprises Project Initiation, Early Estimates, Project Budgeting, Development of Work Plan, Design Proposals, Project Scheduling, Tracking Work, Design Coordination, Construction Phase and Project Close Out.